The heady flavour of curry is found outside of India in places like the Caribbean, but did you know that there are curries as far away as South Africa? It’s an interesting story about how exotic foods like Sosatiese (kebabs) and Bredie (stew) became popular in South Africa. They were brought there by Dutch captives from the Malay Archipelago 300 years ago. The giant Dutch East India Company opened a station in South Africa in 1652 to refresh supplies for its ships traveling to the Far East. They needed workers but were forbidden by Dutch law from enslaving the southern African natives. The political exiles or prisoners from places like Java, who had opposed the colonization of their homeland, were brought by the Dutch to South Africa as indentured servants or slaves. By 1669, the Dutch East India Company was the richest private company in the world; with over 150 merchant ships, 40 warships, 50,000 employees and a private army of 10,000 soldiers. It had almost absolute ruling power in Dutch colonies from Africa east across the Pacific. In Cape Town today, the Cape Malay culture still thrives, especially with its distinctive food. Cape Malay cuisine is stimulating, often consisting of exciting combinations of fruit, spices, vegetables and meat. The Cape Malay people spiced up European fare with zesty sambals and chutneys. An important contribution was their introduction of the sweet and sour flavour, now a characteristic of South African cookery. A traditional Cape Malay dish is the classic Bobotie, a curry type of stew with fruit overtones. It might be the national dish of South Africa. The Dutch introduced the minced meat, but the Cape Malay introduced the spices. Here is the last Bobotie version I made. We enjoyed it and I’m sure you will also. This fragrant beauty is now ready to serve. Traditionally it is served with yellow rice but that’s up to you. A green salad would be a nice accompaniment as well. Prepare this wonderfully tasty dish and see for yourself why Cape Malay fare is recognized far and wide as an unparalleled aspect of South African culture, via Indonesia. I may never buy a cookbook again. Curry is a favorite around our house and I'm trying this recipe as soon as I can. Thanks Anthony. 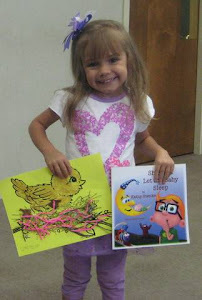 GENE POOL DIVA: Thank You Gene, I bet you will love it. ANGELA FELSTED: Tastes as good as it looks. As a non-meat eater, would it work to substitute something for the beef/lamb? I really do like curry a lot. i have missed your wonderful food! this looks amazing--i just love curry! With the mixture of spices in this dish, the smell has got to be absolutely amazing when it's cooking. I will definitely have to give this one a try. Thank you. Last thing I had from South Africa was an unusual drink some visitors gave us. Amarulla. They brought it all the way over from South Africa as a gift, and now it's actually available at the local package goods store. Sounds fabulous! I just had a thai green curry last night. That's my favorite but I pretty much love most curry dishes. This sounds like a very flavorful dish! Hehehehe sorry. Ahem. As a South African I can promise you that Bobotie (while ABSOLUTELY delicious) is not our national dish. That would be the Braai. We even call our National Heritage Day, Braai Day. hi anthony, wow, a curry dish from south africa. never knew theirs is also very heavily loaded with spice varieties. the unique ingredients like apricot jam, grated nutmeg and cake flour..
Anthony, this recipe is completely new to me. I am really surprised that even South Africans use curry powder like Indians. This dish is packed with spicy flavours, and I loved this. Awesome post, Anthony!! SUSAN OLOIER: There is a product called TVP - Textured Vegetable Protein, which is made from soybeans. Some people use it to "extend" ground beef but vegetarians use it to replace ground meat. Back in the 1970's, when meat prices went through the roof, you could find it easily everywhere. I suppose now one could find it in "health food" stores or such. If you use it I guess you could flavour it with beef broth or some vegetarian alternative. That is one substitution you could make. This dish is really delicious, I hope you find a way to try it. Best regards to you and Zane. LYNN PROCTOR: Thank you for your kind words, I hope you will prepare this wonderful dish. SUSAN FLETT SWIDERSKI: I guarantee that you will love this bobotie. I am unfamiliar with Amarulla but am an alcoholic anyway. It sounds like a cordial (fruit based liquer). JOYCE: I love green curry too. I insist on seasoned food and curried foods use spices and herbs galore, which is fine with me. MISHA GERICKE: OK dear, but I did NOT say bobotie was South Africa's national dish. I used the qualifier (I think that is what it is called) "might be". Regardless, it almost could be, it is so good. I was moreso talking about Cape Malay folks as opposed to South Africa overall,I hope I did not offend anyone. Braai is new to me I must learn about it, thanks for mentioning it. I do know Matzoh Brei, it's good. Good luck Misha with your impending tome. COOKING VARIETIES: I was surprised myself the first time I heard of bobotie. I hope you will try it. Have a wonderful day. PURABI NAHA: Bobotie is fabulous tasting. The cape malay people brought to S. Africa from Indonesia. I like how you usually give us a little history along with your recipes. I've been recently reading about the history of food. It's fascinating. This Bobotie sounds so yum! I love cooking with lots of spices. A recipe and a history lesson. Thanks! I've never heard of Bobotie. I have had Boboli though. Looks might tasty. I love just about anything baked in a casserole dish. MY JOURNEY WITH CANDIDA: Thank You for your kind words. This is a delicious dish for sure but I'm not sure you could have it. LYNDA R YOUNG: The history of food definately is interesting. My spouse's English cousin has children who live in New Zealand but I've never heard of any curries there. I love spices too. Thank You for calling, best wishes. DAWN @ LIGHTEN UP: Thank you for the lovely compliment; coming from you I feel honoured. STEPHEN TREMP: Yes, casseroles used to be vastly popular here in the U.S. because you could make a tasty dish. I remember when a marriage would be impending we would give them a casserole dish. Now boboli, is that the pre-baked pizza crust? Stephen, pizza dough is so easy to make at home, especially with a food processor that there is no reason to purchase boboli; except it has a cool name. Nice history of how curry arrived in South Africa...I never knew this! I love the spices in this soup! So tasty. LIZZY: I love the study of history, glad that you appreciate it too. Thanks. JOANNE: It is actually not a soup per se, but yes the spices make it spectacular. Good luck with your races Joanne. Looks really good, trying new foods every day so give this a go I should. Mmm. That sounds and looks delicious. Delicious recipe :) Happy to follow you!! what a flavorful dish....looks very delicious !!! With veggie substitutes, I could make this! I like a good curry dish now and then. This version of a South African Curried dish sounds absolutely delicious...the story is interesting too! 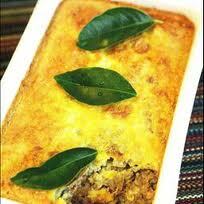 PAT HATT: Bobotie is a dish that can satisfy your culinary wish. M PAX: Thank You you are absolutely correct, it is. DIVYA PRAMIL: Happy to meet you. SONALI PRADHAN: Thank You Sonali. L DIANE WOLFE: With vegetable substitutes this would still be a fabulous meal. MALLI: The history is very interesting and the dish is quite delicious. Thank You.